Scientists bound crocodiles and put them in MRI machines while playing classical music in a rather strange but important experiment. An extraordinary new experiment definitely required some brave scientists, as well as a bit of unorthodox thinking. Researchers placed young crocodiles and treated them to tunes from Johann Sebeastian Bach in order to unlock some of the deepest secrets of evolution, such as the transition from dinosaurs to birds and our understanding of reptiles in general. While we had studied the brains of mammals and birds before, reptile brains are a bit difficult to study because of the fact that they are cold blooded and therefore it is difficult to keep blood oxygenation levels constant since they are entirely dependent on their widely fluctuating body temperature. But researchers were able to take young Nile crocodiles, bind them in a temperature controlled room, and place them in an MRI so they could be studied. During their time in the MRI, during which the crocs were surprisingly calm, researchers subjected them to a number of visual and auditory stimuli, which included Bach’s Brandenberg Concerto No. 4. 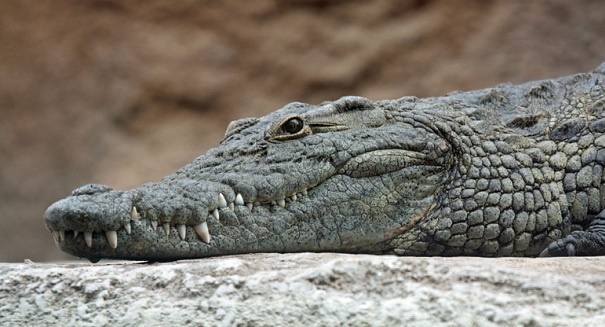 Scientists hope that this research will unlock secrets on the evolution of crocodile brains, and how much they differ from those of birds and mammals.